This advertisement is featured on the back page of the July 25, 1904, issue of a hobby publication titled "Friendship Junior and Amateur Collector" (which I hope to write more about later). 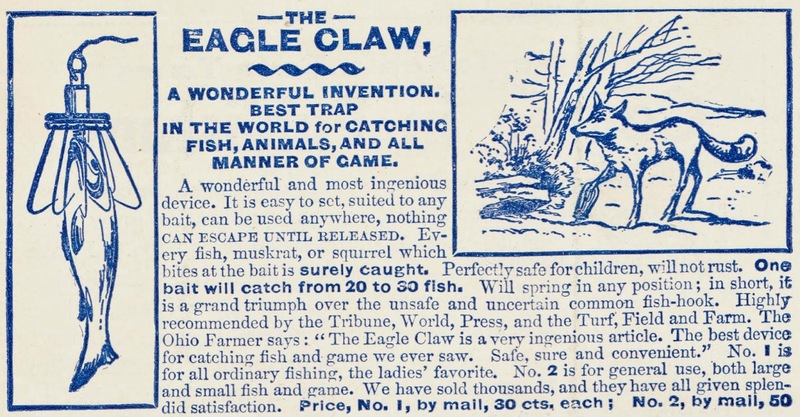 "Best trap in the world for catching fish, animals and all manners of game." "Nothing CAN ESCAPE UNTIL RELEASED." 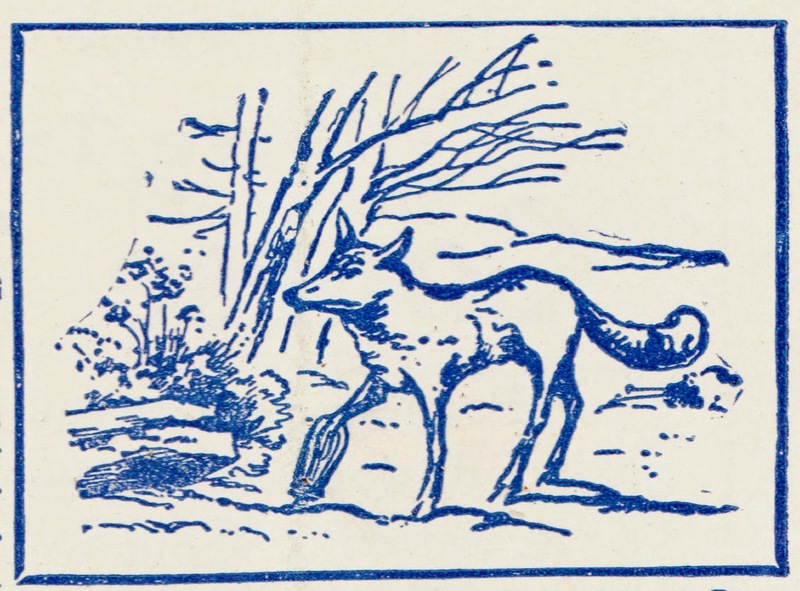 "Every fish, muskrat, or squirrel which bites at the bait is surely caught." "Perfectly safe for children, will not rust." "No. 1 is for all ordinary fishing, the ladies' favorite." The post-paid cost of the smaller Eagle Claw was 30 cents, which is nearly $8 in 2014 dollars. So ... I have some concerns. First off, the design of this thing, as pictured, makes it appear incredibly inhumane. And I'm sure it was. It's also difficult to envision how this product was as effective as it claims. It looks like it would be messy, inconsistent and problematic. But then I've never been much of an angler or squirrel hunter. Most importantly, I'm dubious about the claim that it's "perfectly safe for children." Now, I'm sure children were more rugged 111 years ago than today's videogame generation. Still, this looks like an invitation to a nasty injury. And if you didn't hurt yourself fiddling around with the Eagle Claw, you might be in for big trouble when dealing with an injured animal "captured" by it.